After spending part of an undergraduate study abroad trip working with struggling teen mothers in Chile, Lauren Antosz ’16 left with the nagging feeling there was more she could do. She’ll get the chance with a grant from the Fulbright U.S. Student Program, helping to develop a program that supports at-risk youth achieve higher outcomes. Antosz, who majored in Spanish in the Department of Romance Languages and Literatures, is one of a record 29 Notre Dame Fulbright Scholars for the 2016-17 year. Fulbright is the U.S. government’s flagship international educational exchange program, offering students grants to conduct research, study, and teach in the country of their choice. Antosz’s Fulbright proposal was inspired by her experience as a study abroad student volunteering at Fundación Cerro Navia Joven, an organization that addresses the needs of children and families in Cerro Navia, Santiago. She spent time there helping young mothers connect with education and resources, but felt that a youth program to assist them set and attain new goals or gain new skills would be much more effective. During her Fulbright year, Antosz will return to Fundación Cerro Navia Joven to conduct in-depth interviews with at-risk teens, young mothers, and their families to determine how to develop better programs to address common negative outcomes such as teen pregnancy and drug and alcohol abuse. Antosz decided to major in Spanish after a volunteer trip to Nicaragua, where she fell in love with Latin culture and language. Adding minors in international development studies through the Kellogg Institute for International Studies and poverty studies through the Center for Social Concerns helped her connect her interests in Spanish language and helping the less fortunate. 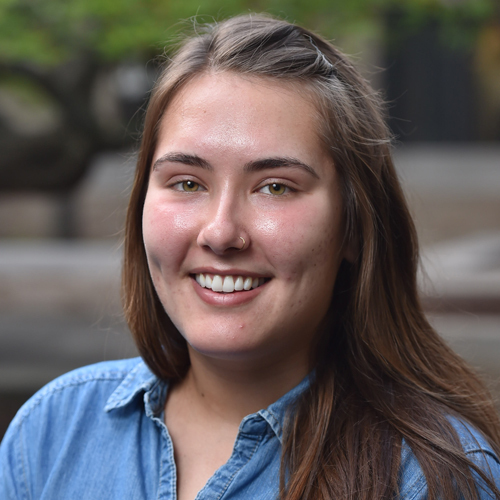 In addition to her research, Antosz will work with faculty mentors at Universidad Alberto Hurtado and be a teaching assistant for a class on poverty and development—the same class she took as an undergraduate study abroad student. After her Fulbright year, Antosz plans to seek a graduate program in global affairs or human development. “This project could be a great first step and experience,” she said. Originally published by Brian Wallheimer at al.nd.edu on September 29, 2016.